There’s no shortage of coffee shops in Adelaide, and that’s probably an understatement. 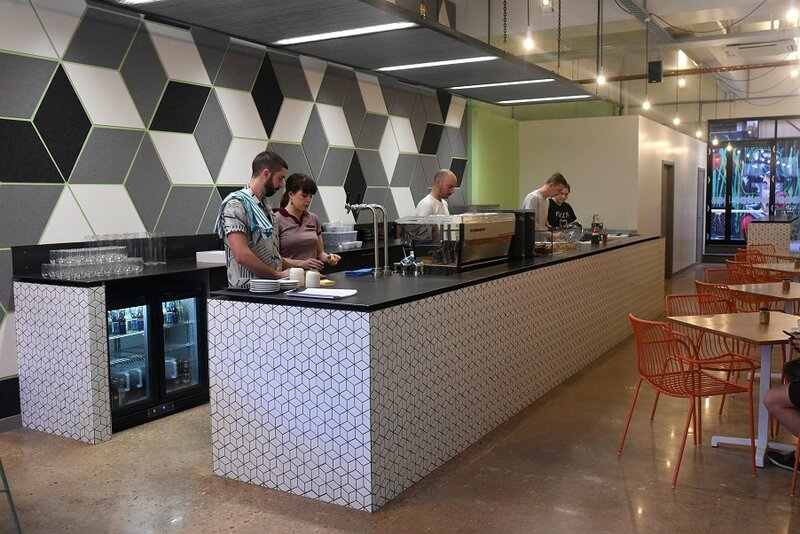 The latest place to open their doors is Fairweather, which is located in the up and coming west end of the CBD. For those that want to find the place, it’s down a side street just off Rosina Street, close to the TAFE SA City Campus. The store is beautifully decked out with nice clean lines and that perfect mix of industrial and modern. Fairweather has two frontages with wheelchair access from the rear. Coffee is supplied by Small Batch, while the all day menu is a healthy selection of breakfast items and sandwiches. 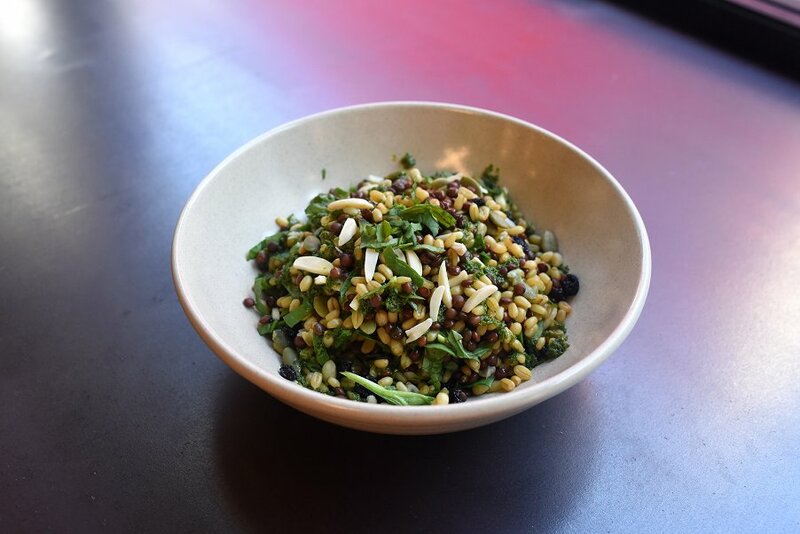 For breakfast, I had the Grain Salad which is a combination of freekeh, roasted almond, currant, pumpkin seed, baby spinach and salsa verde. The soft leafy spinach goes well with the crunchiness of the nuts and seeds. The currants add a burst of sweetness, while the salsa verde adds savouriness to the dish and prevents the salad from being too dry. The salad is unique and very satisfying. With so many coffee shops around, you can see the new ones lifting their game when it comes to quality of coffee and food. The average price of food at Fairweather is around $12 which is quite reasonable. Staff are friendly and the service is fairly prompt. Worth checking out if you’re in the area. Fairweather is open on weekdays from 7am-4pm, and on Saturday from 8am-3pm.